A non-locking connector with an integrated pulley wheel that can be used to create lightweight hauling systems. The pulley wheel reduces friction and increases movement efficiency. It can combat rope drag and decrease rope wear. The Revolver can also create mechanical advantage in a lightweight hauling system.The pulley wheel is functional with loads up to 11kN. Wire gates are the lightest gate type available, and resist freezing shut in cold conditions. 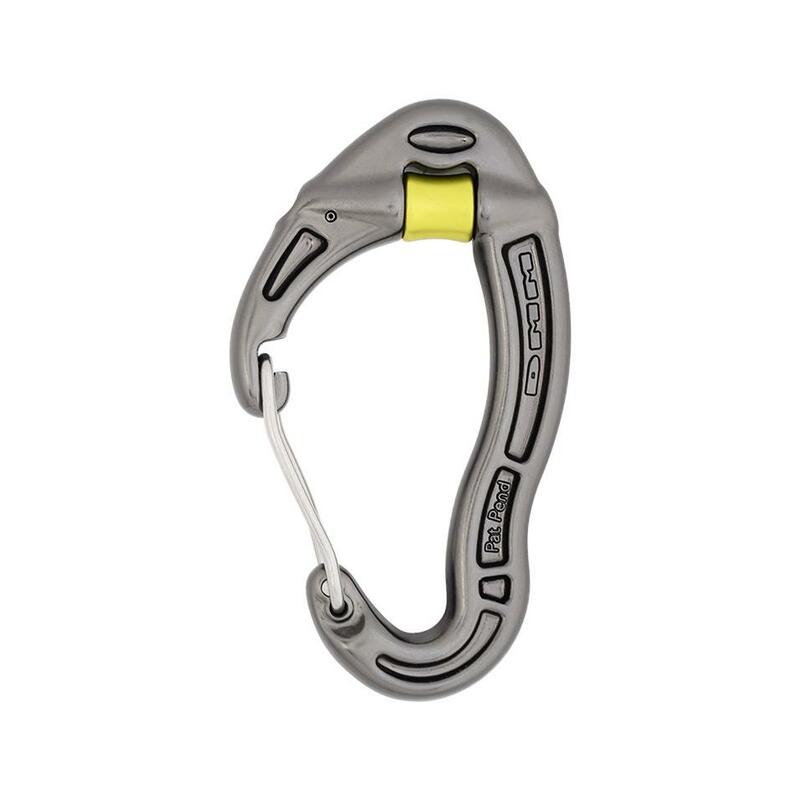 Wire gate carabiners require a gate notch to achieve their full strength rating. Our notches are minimised while remaining functional, to reduce snagging on other equipment. I-Beam construction reduces carabiner weight without compromising strength. It is achieved through hot forging, which allows metal to be formed in complex shapes that improve functionality. An overview of the features and benefits of the Revolver carabiner.